As the Denver Nuggets inched closer to tipping off against the Portland Trail Blazers, the importance surrounding the matchup could not be overstated. For the Nuggets, a win would lock them in as the winners of the Northwest Division while also securing no worse than a top-four seed in the postseason. The Nuggets have not won their division or been a top-four seed or better since the 2012-13 season. For Denver, a win would solidify all of the work they have done throughout their rebuild over the past four years. For Portland, a win is important for their desperate push for a top-four seed as well. After losing CJ McCollum and Jusuf Nurkic in the past month, the Trail Blazers have been able to continue winning, but with the Utah Jazz breathing down their necks, there is a lot of pressure on Damian Lillard and company to keep grabbing victories. After a hard-fought battle for all four quarters, the Nuggets managed to come away with arguably their biggest win of the year. The Nuggets, with their 119-110 win over the Trail Blazers, are now the Northwest Division champions and cannot finish worse than as a fourth seed in the brutal Western Conference. The first quarter did not start how Denver had hoped. On offense, Denver was missing open shots, which was the biggest issue, but they also lacked the same kind of hyper-active off-ball movement. That led to Denver operating a lot out of the two-man game and not as much side-to-side action for the Nuggets which limits how dangerous they are. On defense, the Nuggets got a dose of what opposing teams will do to them in the playoffs. The Trail Blazers continued to run high pick and rolls at Nikola Jokic and Jamal Murray over and over again. Murray has not proven he can consistently contain explosive guards on the perimeter and Jokic is not exactly an elite rim protector. Because of that combination, running high pick and rolls at Denver will yield strong results more often than not for the opposing offense. The combination of a slowed-down offense and schematic issues on defense led to the Trail Blazers carrying a 29-22 lead into the second quarter despite Denver having nine assists on 10 made shots with only one turnover. In the second quarter, Denver turned up their defensive intensity in a big way. They were jumping passing lanes, being very physical at the point of attack, and were not letting the Trail Blazers get easy shots which is why they were able to hold Portland to just 21 points in the second quarter. The Nuggets also forced Portland into six turnovers in the second quarter. Denver’s defense also stimulated their offense as they were able to get out in transition more often than in the first frame of the game which led to easy buckets. 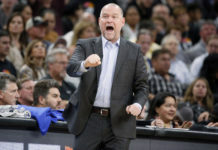 In addition to Denver playing with more pace, they were also finally able to get a couple 3-pointers to fall which allowed the Nuggets to climb out of their seven-point hole they built in the first quarter and actually take a 56-50 lead heading into halftime thanks to Paul Millsap’s 16 first-half points on a perfect 5-5 shooting from the field. In the third quarter, the Nuggets were looking to put away the Trail Blazers, but were unable to do so. Portland refused to quit and they stormed the Nuggets out of the gate with a relentless offensive attack. Denver did not respond well and eventually allowed the Trail Blazers to retake the lead behind a 21-9 run. By the time the third quarter came to an end, Denver had battled back, but still trailed 87-84. In fourth quarter, Jokic had enough and decided to take over. 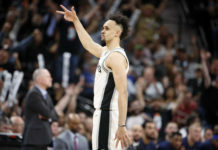 He scored the first seven points for Denver to begin the final frame and he stimulated a 14-4 run to not just retake the lead, but push their lead to 10 points. Still, the Trail Blazers did not go away. They continued to fight until the final buzzer sounded, but Denver never backed down. For every big bucket the Trail Blazers made, the Nuggets manufactured a big shot of their own. The Trail Blazers attempt at a comeback was not enough as Denver held on for a 119-110 win. 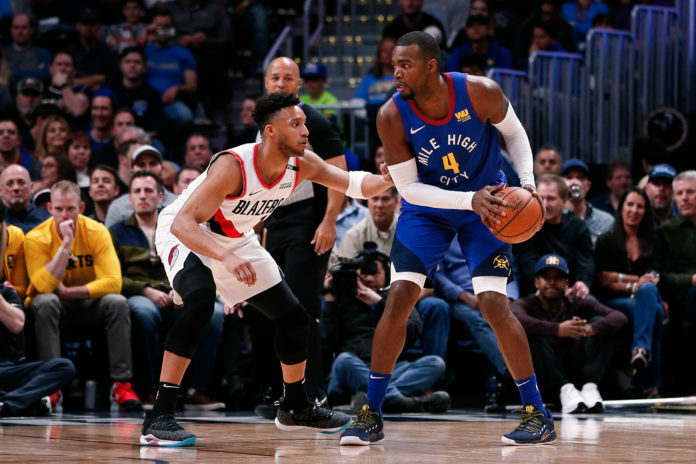 Paul Millsap carried the Nuggets through long stretches of their game against Portland and finished with 26 points and seven rebounds while shooting 9-12 from the field. 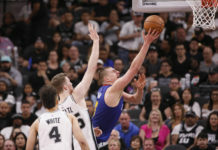 Jokic also had himself another strong game as he accumulated 22 points, 13 rebounds, and nine assists. Off the bench, Torrey Craig was huge with 17 points and seven rebounds including four offensive rebounds. Next, the Nuggets will head back out on the road to take on the Trail Blazers once again, but this time in the Moda Center in downtown Portland. That game will take place on Sunday night at 7pm MDT.